Kenafeh (Arabic: كنافة‎ kunāfah, Turkish: künefe, Azerbaijani: Riştə Xətayi / ریشته ختایی, Greek: κα(ν)ταΐφι kadaïfi/kataïfi,Hebrew: כנאפה knafeh), also spelled knafeh, Kunafeh, kunafeh, knafeh, or kunafah) is a Levantine cheese pastry soaked in sweet sugar-based syrup, typical of the regions belonging to the former Ottoman Empire. It is a dessert specialty of the Levant, especially in Jordan, Lebanon, Palestine, Syria and northern Egypt. It is a first cousin of the Greek kadaifi and the Turkish tel kadayıf, künefe and ekmek kadayıfı. The pastry is heated in butter, margarine, or palm oil, then spread with soft white cheese, such as Nabulsi cheese, and topped with more pastry. 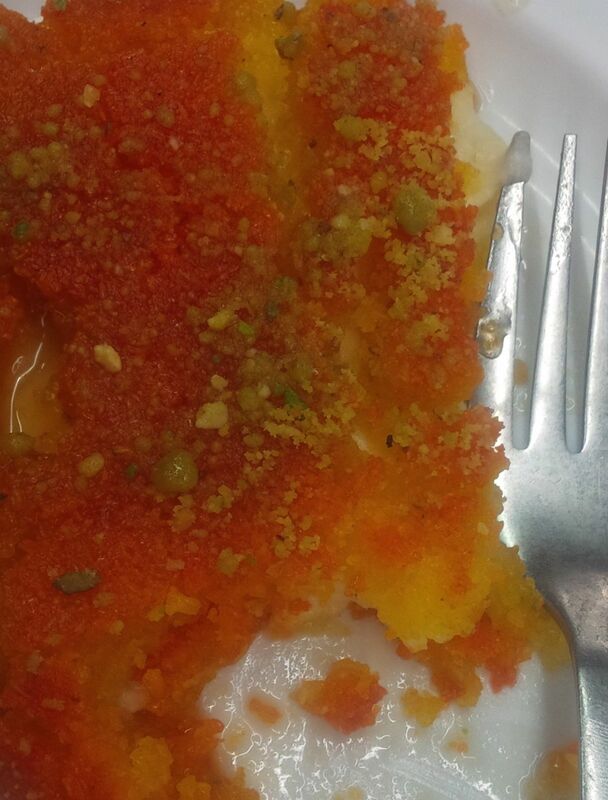 In khishnah kanafeh the cheese is rolled in the pastry. A thick syrup of sugar, water, and a few drops of rose water or orange blossom water is poured on the pastry during the final minutes of cooking. Often the top layer of pastry is tinted with orange food coloring. Crushed pistachios are sprinkled on top as a garnish. 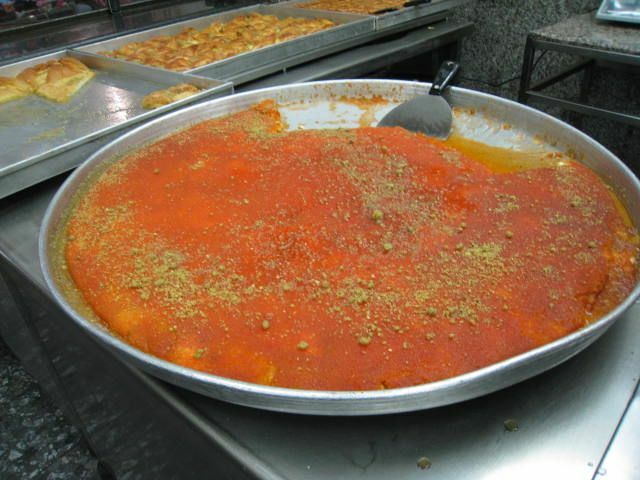 Jerusalem kanafeh is a neon orange pastry with a crust of shredded phyllo dough or semolina filled with soft goat cheese and drenched in syrup. It is especially popular during Ramadan. 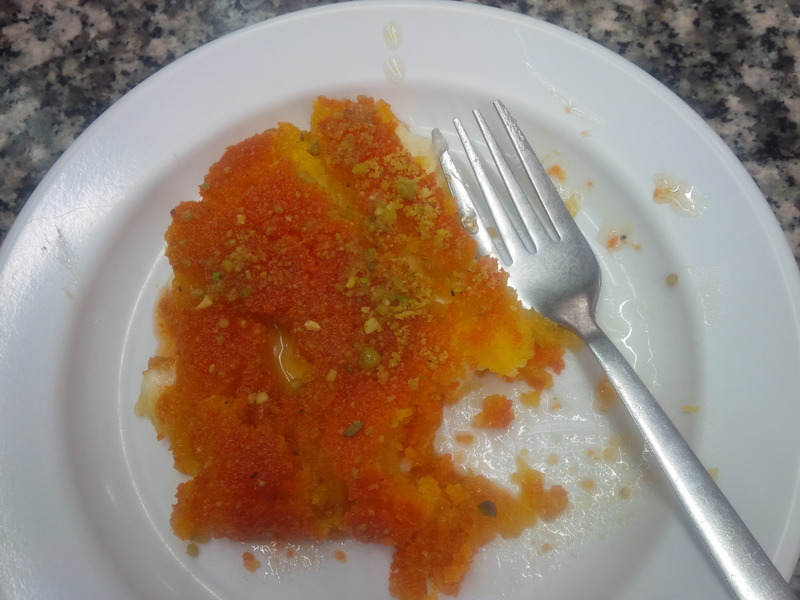 This entry was posted in traveling and tagged Food Street, Knafeh, Local Food. Bookmark the permalink.